If you haven't caught the podcasting revolution, go get yourself an MP3 player and subscribe! It is completely effortless with an iPod and iTunes; podcasts are automatically added and removed to your device. I don't see how people listen to podcasts while sitting at a computer, I'm always clicking around in about five different tabs and do not have the attention span for that. While I'm stuck in the car, traveling or exercising, I cannot live without it. No more crappy radio and lots more choices! The Daily Breakfast with Father Roderick - This is the "must hear" show every morning for this non-Catholic, non-Religious listener. The Dutch priest discusses movies, video games, gadgets, food, health, with a smattering of Catholicism mixed in. He is funny, intelligent and always interesting. NPR Story of the Day - Of course not all radio is crappy, and I certainly need my fix of NPR. Doing the Story of the Day podcast allows me to skip the stories I'm not interested in ("Film captures annual swim of elephant seals" comes to mind) and just hear the ones I am interested in. Plus 5-10 minute stories are the perfect length for my evening commute. NPR Sunday Puzzle - This is the best way to listen to the Sunday Puzzle on Weekend Edition. No need to be conveniently near a radio when it comes on, and I never miss the always composed and charming Will Shortz. I've only entered a few times, and would probably freak out if I were ever chosen to play the puzzle on the air. WGBH Morning Stories - I never miss this father of all podcasts from my very own member station. I've connected with Tony Kahn through messages on Flickr and my sister-in-law has even appeared on the program. 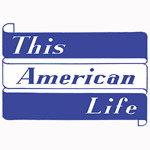 This American Life - I used to download and listen to shows that my friends recommended, but now I am hooked and can't miss an episode. It's tougher for me to find hour-long chunks of time to listen, so I've gotten behind. Hopefully biking weather is around the corner? WNYC Radiolab - This hour-long science show, which I have blogged before, is always absolutely riveting and fascinating. Again, I am way behind and looking forward to my next business trip to catch up. NPR This I Believe - "The personal philosophies of remarkable men and women from all walks of life". While I don't always agree with all the essays presented, it can be quite humbling and eye-opening to hear other people talk about their personal convictions. The last couple of weeks had an essay by a "busybody" (which I am not, but this essay really makes you think twice) and an astronaut who recorded his essay aboard the International Space Station (click the link for the video). Both gave me goosebumps to listen to. 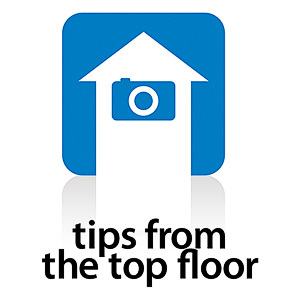 Digital Photography Tips From The Top Floor - Chris Marquardt runs an awesome audio and video podcast and my photography has definitely improved since listening. Can you tell? Naxos Classical Music Spotlight - As I have posted before, Raymond Bisha gives an extremely informative podcast often with interviews with conductors and composers. Thankfully, NPR heard my plea to bring back the From The Top or "Classicool Kids" podcast. This along with the Naxos podcast are my top choices when driving with Dova. Hopefully, she'll be inspired to someday be on From The Top (no I won't be a pushy classical music mom, she hasn't even started lessons yet). Car Talk's Call of the Week - When Adam is in the car, we listen to Click and Clack, although he likes Father Roderick as well for the video game aspect. Doug listens to the entire Car Talk show as a podcast. The Bitterest Pill - The always funny and ironic Dan Klass has switched to a premium pay format, which I haven't sprung for (I am too behind on all my other podcasts to pay to be behind on this one). I understand that he has to try to make a living out of it, but it still irks me to have to pay... Still, I keep up with the once a month freebie podcast as I can't live without my fix. Cush: Things I Say - "Mature words for mature minds". The often self-absorbed Cush never ceases to entertain. I don't always agree with his male-centric view of the world, but it is still a must listen. Looking over this list, I see that it is heavily populated with NPR podcasts (and I didn't even list them all). But that is the beauty of podcasting, you can tailor your choices to your listening pleasure. Very interesting list Angela. I can understand why you would want to get podcast. Guess I'm an old fuddy duddy tho, I don't need it at my age. rofl. If you haven't stopped by my T-13 yet, I have made thirteen new headers for everyone who wants them...just click on 'em and save 'em for yourself if you'd like!! Happy Thursday. I can't live without, The Splendid Table, on podcast. I love it. I'm one of those slow-to-catchup-new-tech person. I don't listen to podcast or own iPod. But hope that it will change soon. So I will be able to check out your list soon. Thank you for doing all the work for me and providing links. Really! Thank you. I enjoy listening to one particular frequent podcaster, but I do listen while sitting at the computer. My ADD makes it too hard to just listen to one thing at a time, so I listen while working, blogging, reading, and/or whatever else might come to mind. I wonder if Dave Ramsey does a Podcast. I might listen to him. He's great. That is intresting, I will have to pick one to listen to. awesome list! I love those myself, although you forgot "Wait, Wait"